This autumn, Apple will release its fifteenth operating system for Macintosh computers, entitled macOS 10.14 ‘Mojave’. Apple revealed the update at its 2018 Worldwide Developers Conference in June. The main themes highlighted throughout were the improvements in user experience and efficiency. 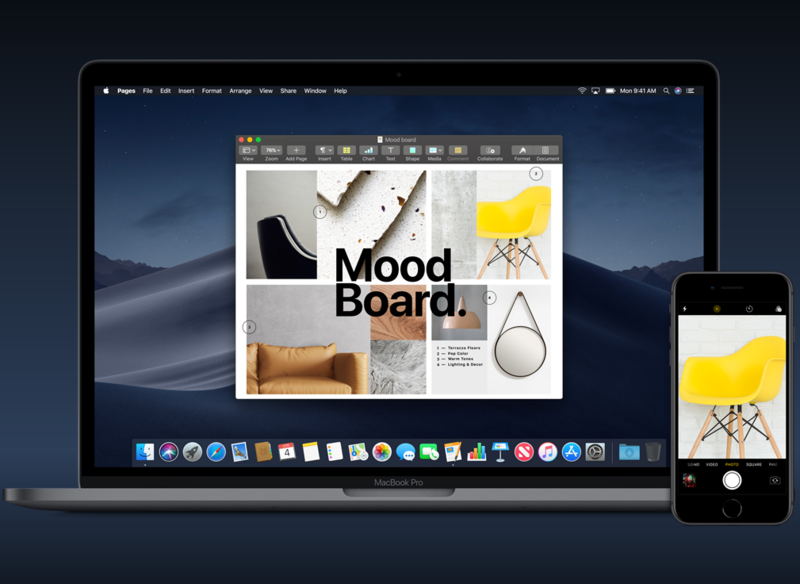 According to Apple, ‘macOS Mojave feels like an update that’s truly about the Mac’, extending features that are at the core of the Mac’s identity. 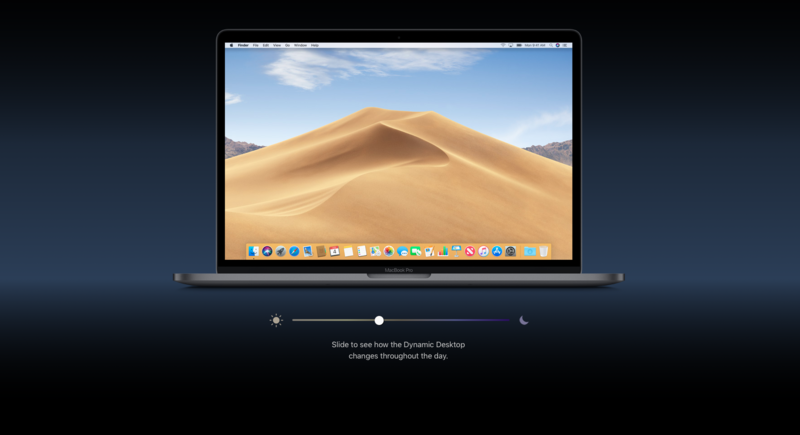 At the same time, macOS Mojave represents the end of a long era (of stability or, less charitably, stagnation) and the beginning of a period that could completely redefine what it means to use a Mac. 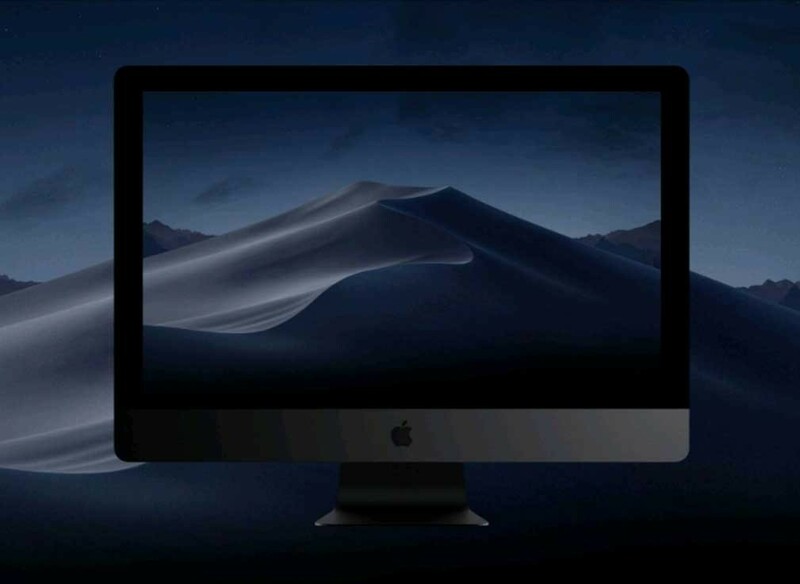 Is macOS Mojave the latest chapter of an ongoing story, the beginning of a new one, or the end of an old one? It feels very much like the answer is yes, yes and yes. We road-tested the Public Beta v4 in advance, and it repeatedly occurred to me that the overall intent of this release is to bring Mac OS closer to iOS. Running through some of the features below, you’ll possibly see why. Dark Mode: The higher contrast of text makes it easier to read documents and menu items. Using dark colours instead of white reduces glare, which in turn reduces eye fatigue. Most importantly, Dark Mode can improve your ability to see certain aspects of video and photos, such as colour and detail. This feature is becoming more common as we’ve already seen it rolled-out across Adobe Creative Cloud and YouTube. Desktop Stacks: The new Desktop Stacks feature helps organise desktop clutter by organising your files into related sets. You can choose to have a group of items in the Dock appear as a Folder or as a Stack. Browse all the files in a stack by scrubbing over it or click to expand the stack and open what you need. Continuity Camera: With Continuity Camera, you can use your iPhone or iPad to directly import photos or documents scans (like receipts) into a file that you’re creating on your Mac. This feature will most definitely come in handy and reduce manual scanning. Dynamic Desktop: Customise your work environment with a time-shifting desktop picture that changes to match the time of day wherever you are. Your Mac is now an even more beautiful place, all day long. Head over to the Apple website to see a demo of this feature. It’ll be interesting to see how this feature will develop and if it can, in a later edition, extend to other imagery. 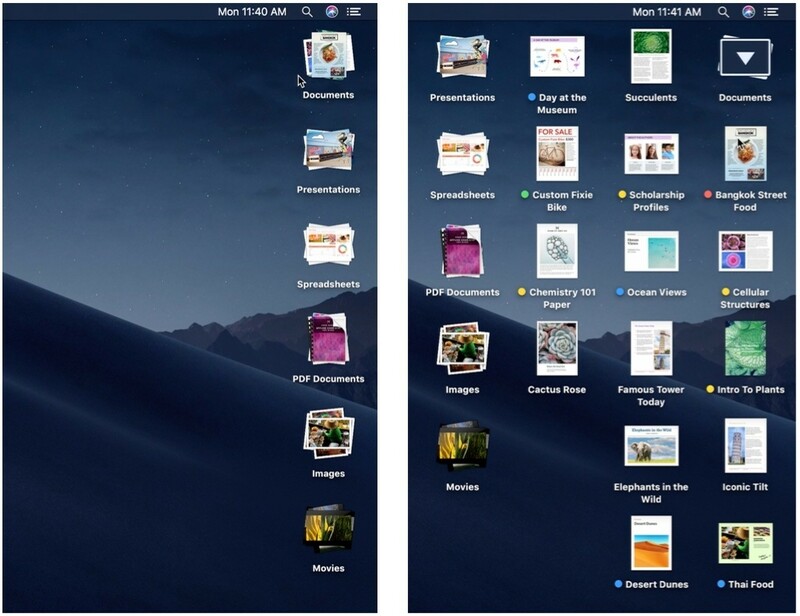 Finder: With macOS Mojave, the Finder is even more of a Do-er. Now you can quickly locate a file by how it looks, perform your most common actions on files without ever opening an app, and instantly use file metadata. 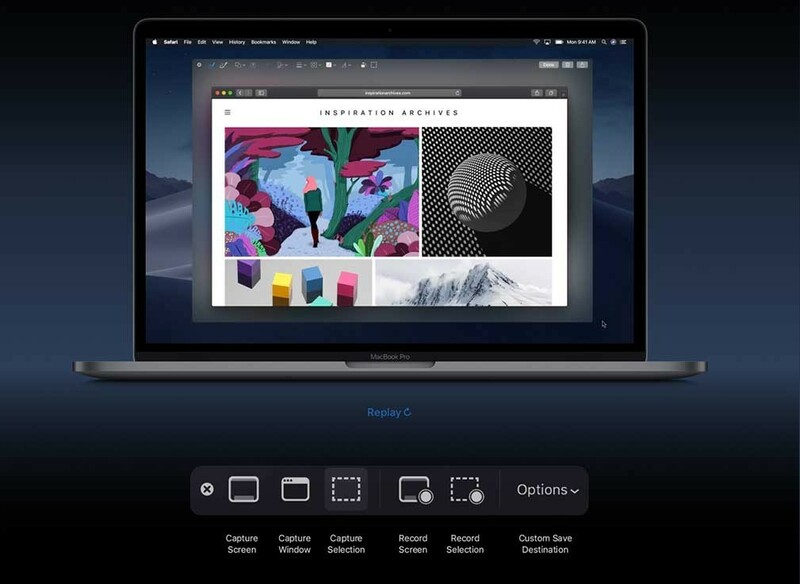 Screenshots: With macOS Mojave, all the controls you need to grab any type of screenshot are improved. An easy-to-use menu includes new screen-recording tools and options like setting a start timer, showing the cursor, and even customising where you’d like to save your screenshots. 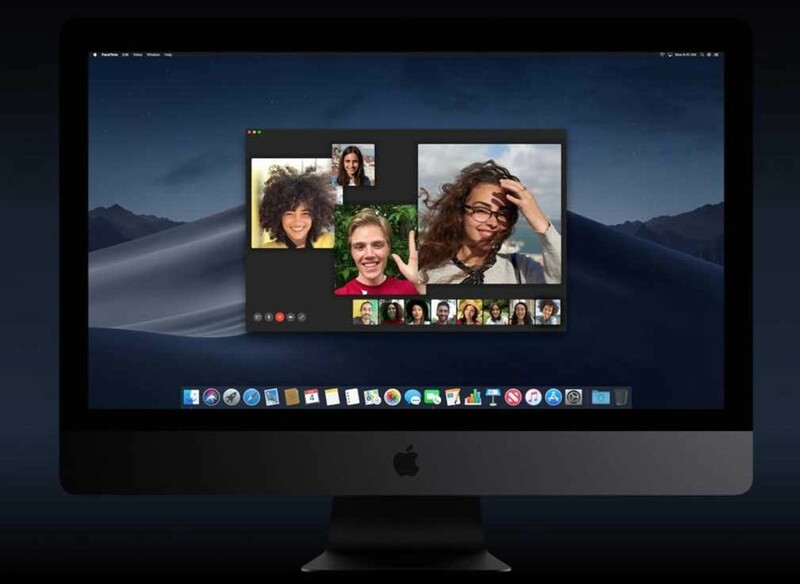 FaceTime: With macOS Mojave, you can jump on a FaceTime call with up to 32 people. Invite anyone to join a call anytime, and it can include both audio and video callers (similar to Google Hangout’s new video feature where you can group-chat with 10 people at once? ), question is – will you really need to call 32 people at a time? New Apps: Four new apps that were originally only featured on iOS are now going to be on Mojave: Apple News, Stocks and Voice Memos, as well as managing internet-of-things devices via HomeKit. This is probably inductive of the path towards further integration between MacOS and iOS. FaceTime – didn’t detect active camera. Final Cut / iMovie rendering – at least 30% slower. Safari – noticeably slower and sluggish response. Air Pods – didn’t connect. Sound preferences - were not maintained after upgrade and sound not present on HDMI sources. 2FA - Under the new OS Two-Factor Authentication (2FA) behaves slightly differently. The message code received on your phone is also visible on notifications on the Mac and you can copy/paste this into the 2FA prompt screen. So, given the purpose of 2FA is predicated on ‘2 sources’, does this defeat the overall objective of 2FA? Beta 5 is imminent, which will no doubt cure some of the current bugs. Public release is scheduled for autumn this year.